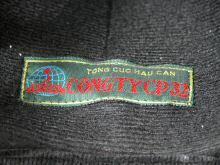 "QCVN" and "Certified by Quatest3" and "Chung Nhan"
"TONG CUC HAU CAN" - General Department of Logistics - a real Vietnamese government/military department. 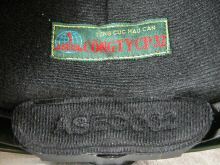 The woven legend below the colour-printed label reads "ASECO32" which is indeed a Vietnamese concern with links to the military. 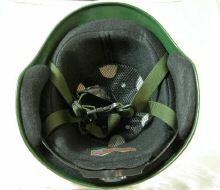 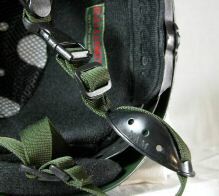 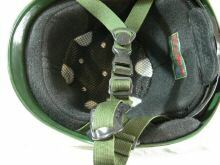 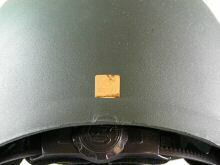 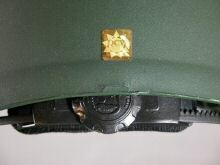 "that item you buy from me exactly is helmet use for Vietnam army but you need to know: In Vietnam army we use some types helmet (metal, composite, carton,...) and Vietnamese helmets are simple... 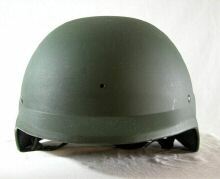 In wars, some of Vietnam arny soldiers, officers can wear helmet made by metal *(combat helmet)*, most of them wear Vietnamese helmets with very normal,.... never protect them in wars. 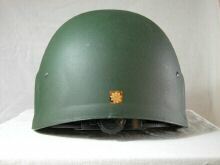 The helmet you buy from me is not a combat helmet, Vietnam army use normally and parade or ceremonial *(the peace time now) *for soldiers, officers but in war they can wear helmet made by metal and imported from Russia or US,..."
which is a bit garbled but nonetheless somewhat helpful. 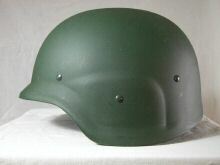 A parade helmet then?